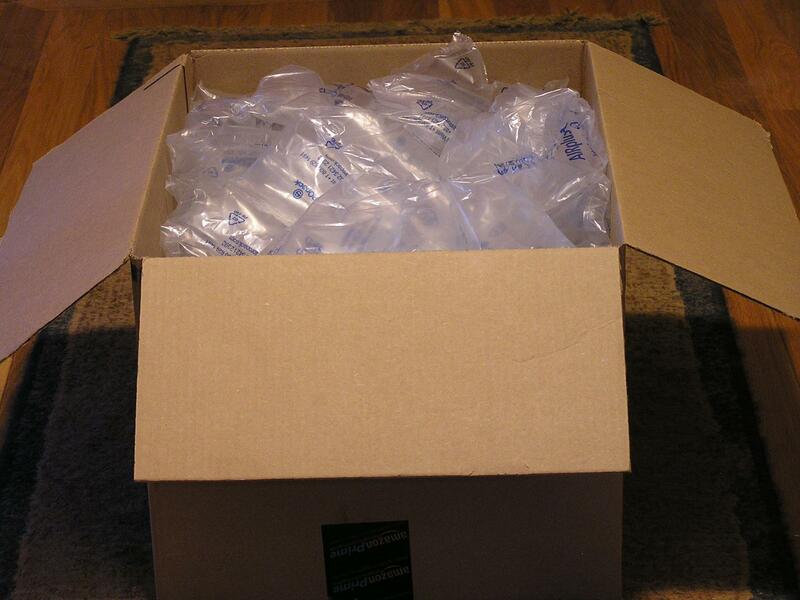 So Amazon tells me . . . . I've been reading way too much re: DACs. Meanwhile, the prices keep tumbling. The < DSD models remind me of when I bought an AppleTV on closeout ~ 1993: 13" Sony CRT, CD player, TV tuner, stereo, remote, keyboard, 4 MB RAM (max) . . . ALL IN BLACK! The UD-501 seems to be getting positive remarks, especially @ its price point. I believe I'm going with Pure Music . . I have ~ 11' of vinyl to spin on a Marantz TT15S1 / Rogue Audio Stealth I've yet to hear (can you say procrastination?). Perhaps by the time I've finished, Sony will have new releases on DSD? Wish me luck. Amazon was NOT my first choice for the ud-501, as they have a shipping facility in Coffeyville (of Dalton Gang fame), KS, = ~ 7.6% sales tax. The dealers TEAC lists in NE KS are mostly out of business within the last 3 years; so it wasn't likely I'd see a ud-501 in person. I was planning to wait until Black Friday & hoping for an out-of state 10% off deal. But, Amazon Warehouse Deals had 3 "used" in black & on my daily search, I found they'd dropped the price another $37.67 (28% < new). Chase Rewards has a 5% cash back with Amazon for the holidays; so I was snagged. 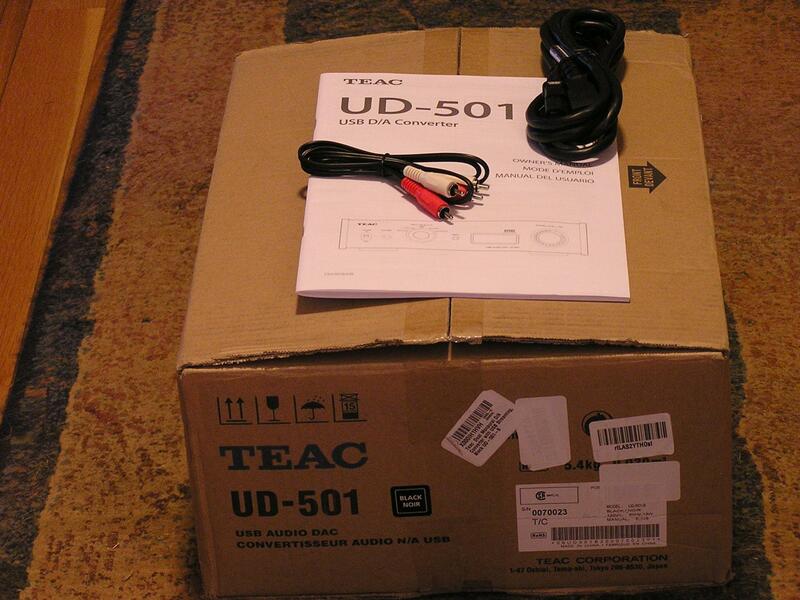 I ordered the ud-501 with the least remarks on condition (non-OEM packaging). Having purchased a "used" CSiA6 in cherry this way, the center channel arrived with a small nick on the back edge of the veneer. I was willing to take another chance. 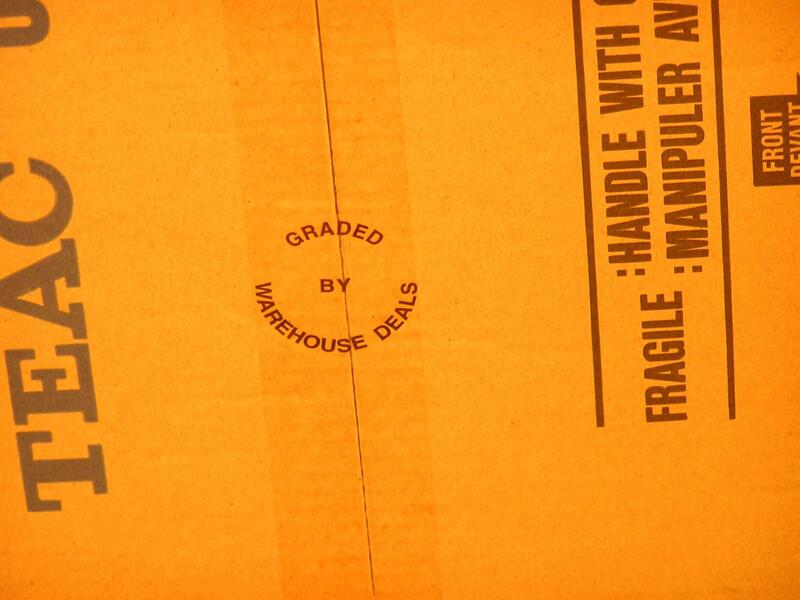 I'm not a Amazon Prime member, so I don't know what the AP sealing tape is about. The roll of air bags may come in handy. 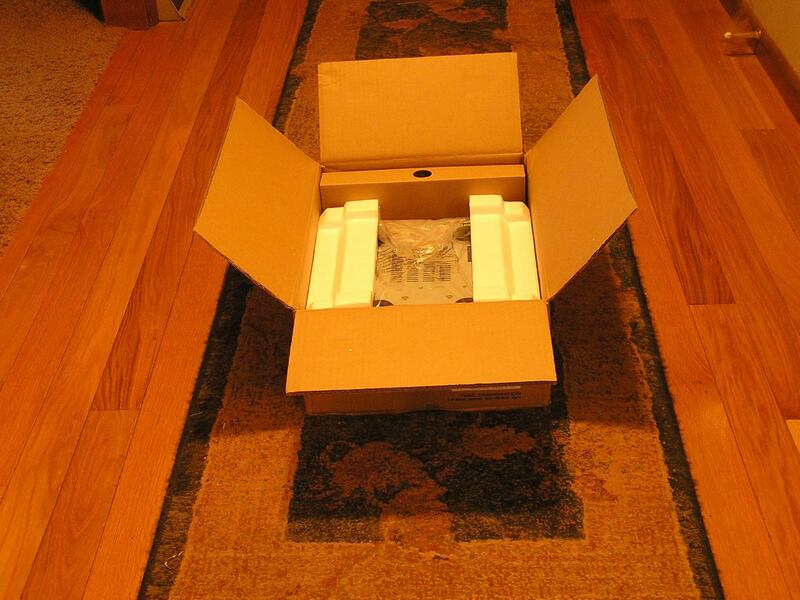 And here was the OEM packaging, in perfect condition. Note the audiophile power cable & interconnects, which appear to have never been out of their packaging. There is one of the many "scratches" on the top cover which jumps out in one perspective, but is not noticeable from the others from other angles. 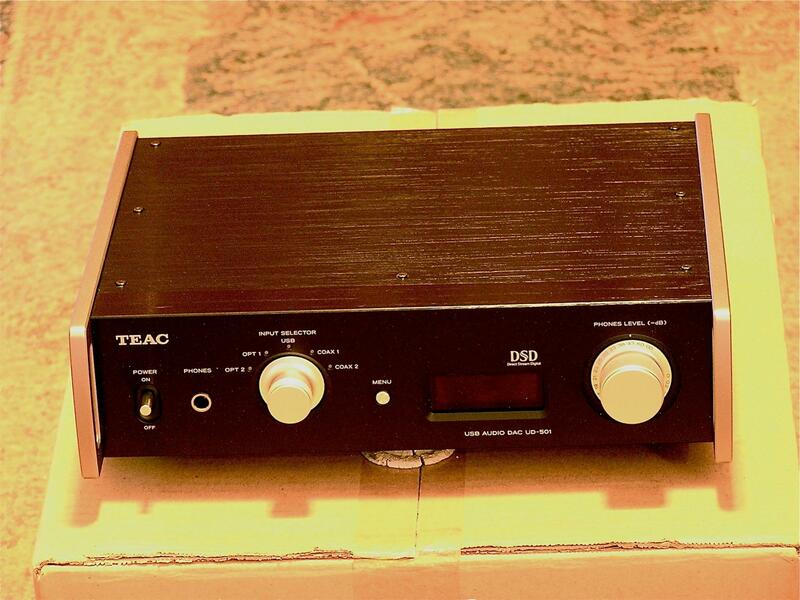 All doubts were relieved when I got this email from TEAC: "Thank you for taking the time to register your TEAC product!" I plan on using a newer door stop for vibration dampening . . . I've downloaded the free trial of Pure Vinyl. And contemplating the Wireworld Starlight, Acoustic Revive 1.0SP & Revelation Audio Labs DualConduit USB cables. Any recommendations? Jeff Bezos a Polkie? The price on a "used" ud-501 is up 6%. Just thought I would chime in here. I've had the UD-501 for a few months and love it. The first time I hooked it up I broke the IEC power inlet on the back when trying to seat my very tight Shunyata power cord. I could get power into it and I listened to it in stock configuration for a 2-3 weeks. After mulling over the choice of sending the unit away for an undetermined time period and just fixing it myself, I decided on the latter. While I had the top off (and since the warranty was violated anyway) I decided I was not impressed with the 4 generic (relatively) large output electrolytics in the analogue side and replaced them with 4 Nichicon MUSE I had on hand. This affords a good improvement in liquidity and decrease in "digititis" in line with other times I have upgraded caps in the signal path. I believe this cap upgrade and a change from my long-time Belkin USB cable to a 5M long Chord USB cable--which removed the vestige of midrange glare--have been the two most significant contributors to my digital set up sounding as smooth and analogue as I've ever heard it."